It’s understandable that the holidays would be a difficult time for people who have lost someone: it is a time of gathering together and the absence of a loved one can be more obvious than during other times of the year. That reminder can bring back waves of grief, which color how people view the holidays. There may also be pressure to feel happy and grateful or pretend that everything is OK or normal. That kind of pressure often backfires and leads to more sadness. If you or a loved one are among those feeling down this holiday season because you have lost someone, here are some ideas to survive the holidays, and possibly even bring some joy to the season. It is normal to have some bitter feelings along with the sweet around holidays when you have lost someone. That person’s absence will become the elephant in the room, so you may as well acknowledge it in helpful ways. Expressing difficult feelings around loss can help you feel less isolated and can give you opportunities to strengthen relationships. Share with a close friend or family member what you are going through and what the holiday season is like without your loved one. It can be helpful to talk with others who are also grieving your loved one. Another way to talk about your experience is to express a tribute to your loved one, verbally at a gathering or through social media. Expressing difficult feelings often leads to remembering the positive experiences you had with your loved one, which brings back some warm feelings. If talking or posting on social media are not your thing, writing a letter to your lost loved one can be an outlet for your grief. Write to them what you miss about them this time of year and about the joyful memories you have of being together during the holidays. Participate in spiritual or religious practices. 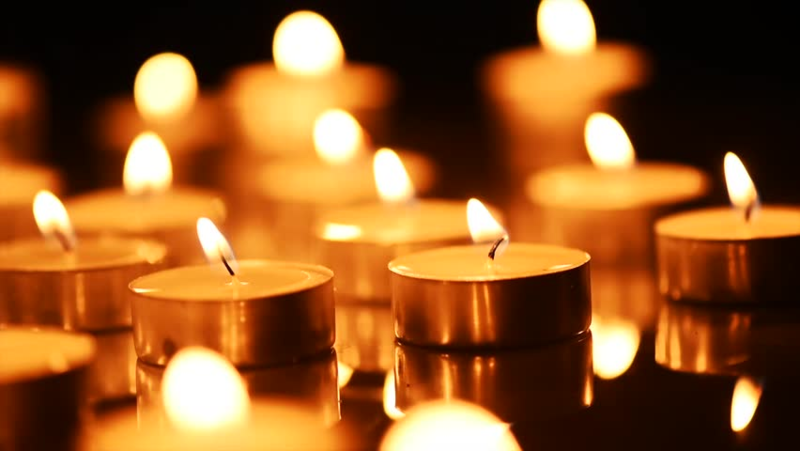 If you or your loved one have ever had a spiritual practice or a religious tradition, participating in the rituals that come with the holidays can help you feel closer to the person you have lost. For example, if you always went to church with your father on Christmas Eve while he was alive, going to church can bring back some of those positive feelings and be a tribute to his memory. If a departed loved one used a special recipe to make potato latkes or sufganiyot during Hanukkah, preparing these same foods can help you feel closer to them. Returning to spiritual connections and religious traditions can help you process the grief you are experiencing this season. Discuss any changes to family traditions in advance. We all find comfort and joy in our favorite holiday traditions. Losing a family member or close family friend can change the logistics of holiday celebrations, or you might be worried about bringing up sad memories if you continue the normal traditions. It’s important to have a conversation with your family about making changes to the traditions. Giving family members and close friends time to prepare for changes can ease the shift to new traditions. Memorialize your lost loved one. Again, instead of having your loved one’s absence be an elephant in the room, think of a way to represent their presence. Try being creative on your own or with your family to come up with a memorial, ritual, or new tradition that acknowledges your loss. If you always have a big family dinner for the holidays, set a place at the table for your loved one, perhaps with flowers on the plate. Place a picture of your loved one or an article that he or she cherished nearby. Sing your loved one’s favorite song. Include family members and others who may also be grieving your lost loved one. Your loved one may be gone, but he or she is not forgotten.